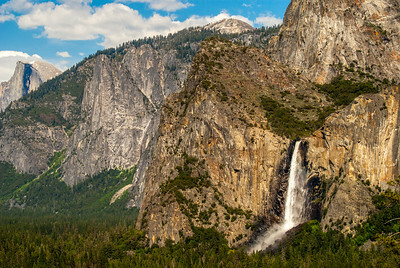 I captured this scene in Yosemite National Park, California. 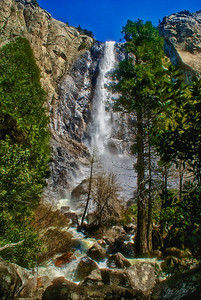 I captured this scene of Bridalveil Fall in Yosemite National Park, California. 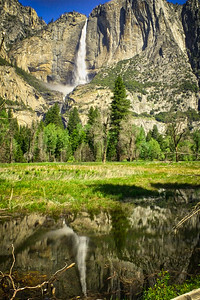 The Tunnel View scenic overlook is a historic site, located adjacent to Wawona Road, affording expansive views of Yosemite Valley, El Capitan, Bridalveil Falls, and Half Dome. 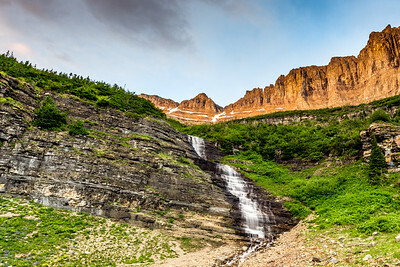 I captured this image of a double waterfall from a pullout on Going-to-the-Sun Road through Glacier National Park. 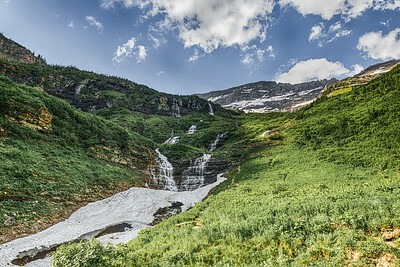 There are hundreds of waterfalls throughout park, of which many are observable from Going-to-the-Sun Road. 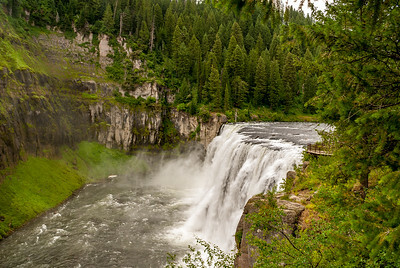 This national park is rightfully called the Crown of the Continent because of its pristine forests, alpine meadows, rugged mountains, spectacular lakes and waterfalls. I captured this waterfall at a pullout off Going-to-the-Sun Road in Glacier National Park. 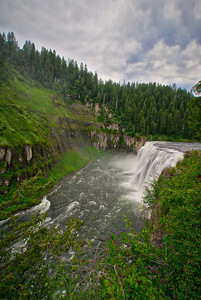 This waterfall is just a few hundred yards from the Weeping Wall falls. This national park is rightfully called the Crown of the Continent because of its pristine forests, alpine meadows, rugged mountains, spectacular lakes and waterfalls. 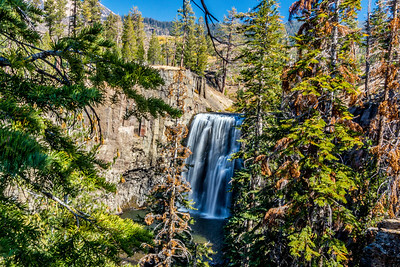 Rainbow Falls is the highest water fall on the Middle Fork of the San Joaquin River. 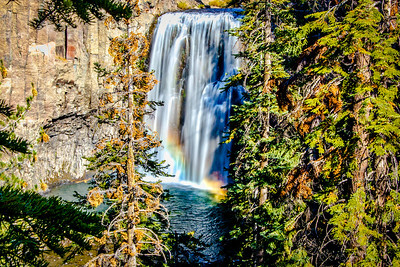 Plunging 101-feet down to the turbulent water below, the falls are aptly named for the many rainbows that appear in its mist throughout sunny summer days. 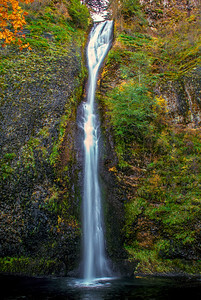 Horsetail Falls is named for its characteristic form and it plunges 176 Feet into a pool right beside the Columbia River Scenic Highway; it's also visible through a corridor cut through vegetation to Interstate 84, 2.5 miles east of Multnomah Falls. 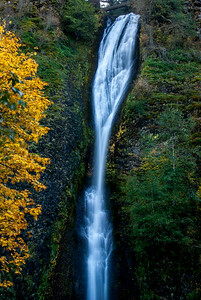 Horsetail Falls is a great spot just to stop and enjoy the beauty of the surrounding Columbia Gorge area. I captured this image of Multmanah falls off of the columbia River Highway. 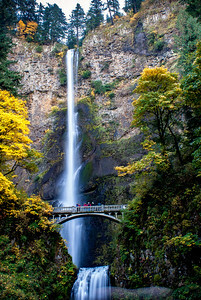 Multnomah Falls is arguably `the grandaddy` of the 77 waterfalls on the Oregon side of the Columbia River Gorge. 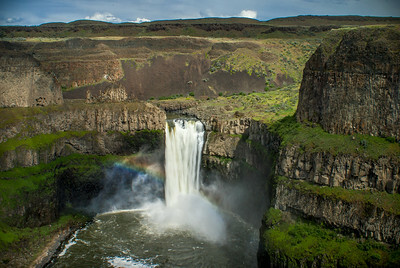 At 620 feet, only three falls in the nation are higher, and none are more beautiful. Falls. 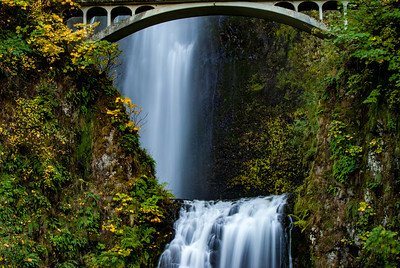 I captured this image of Multnomah falls off of the columbia River Highway. 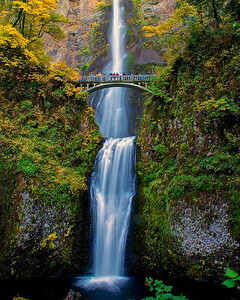 Multnomah Falls is arguably `the grandaddy` of the 77 waterfalls on the Oregon side of the Columbia River Gorge. 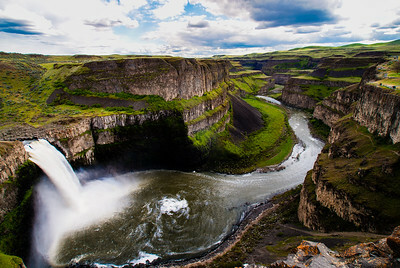 At 620 feet, only three falls in the nation are higher, and none are more beautiful. Falls. 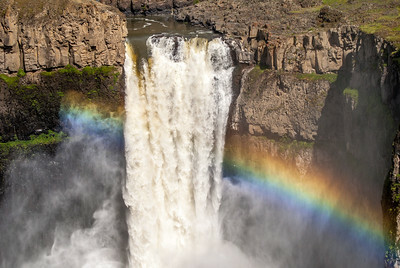 Palouse Falls State Park, Washington, USA - Palouse Falls is a 200-foot​ waterfall located in southeast Washington state that comes off of the Palouse River.